This fictionalized composite example illustrates two major objectives of restrictive covenants. Getting credit had never been a problem—the bank vice president (VP) had always been more than accommodating. But this time the VP hesitated, cleared his throat and said, "This isn't going to be so easy." The group had already shouldered a large debt load building its new freestanding imaging center, outfitting it with the latest magnet and X-ray equipment, and tastefully decorating the patient areas. Now the practice had an opportunity to expand into another market with a second center to include CT, mammography, and space to house its new interventional radiologist. The bank VP continued, "We're approaching our debt exposure limit with your doctors." Partners in medical groups typically signed personal guarantees underwriting practice loans, and the guarantees were structured as "joint and several" agreements—each individual physician guaranteeing his own share of the note, plus promising to make up the difference if any partners defaulted. In other words, if the other partners left the practice, each doctor was potentially on the hook for millions. Banks knew how volatile a professional corporation could be, and most of them insisted on personal guarantees. It was the mid-1990s, when adventurous radiology groups were opening their own freestanding imaging centers—and turning a fine profit. The 15-doctor group had grown incrementally in previous years but had recently recruited three new physicians and its first professional administrator. The practice had traditionally operated on "handshakes" and "understandings," much of which hadn't been formally documented. They had employment agreements somewhere in a file drawer, but no one knew exactly what provisions they included. The bank VP brightened a bit, "You know, we could probably do away with the personal guarantees if you had stronger employment agreements that included restrictive covenants." The partners agreed to establish stronger restrictive covenants among themselves. They believed dropping the personal loan guarantees was worth accepting the covenants. For the bank, knowing contracts not to compete in the same market were in place provided enough "glue" to reassure the bank that the group wouldn't splinter and default on a seven-figure note. For the group, the agreements offered substantial protection against departing members becoming its competition. While this article refers to employer/employee restrictive covenants for simplicity's sake, independent groups have the same reasons to impose restrictive covenants on partners as hospitals do with employees. Twenty years later, freestanding imaging center market has made a 180-degree turn, and with few exceptions, small and medium-sized radiology groups have been busy unwinding deals and selling off their freestanding centers to hospitals and health systems as it has become increasingly difficult to maintain good profit margins with independent centers. Typically, independent groups sell their freestanding centers to hospitals or regional health systems. If the group continues to read studies for the imaging center, hospitals insist on restrictive-covenant provisions in their contracts and most doctors have come to expect them. 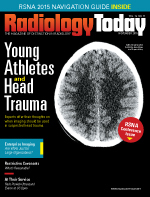 Agreements not to compete weren't so universal among radiologists 20 to 30 years ago, recalls Dan Corbett, chief of business development for Radiology Business Solutions. But as radiologists started venturing out of their hospital environments to develop very costly freestanding imaging centers, they began to recognize the potential damage they could suffer if a disgruntled partner broke away to set up a competing center across the street. Radiology groups began to include restrictive-covenant provisions in their associates' employment agreements and partnership agreements. The issue became controversial—even contentious—as terms became tougher. Corbett recalls seeing quite a number of disputes ending up in court. As lawsuits became more common, the courts focused on the reasonableness of a disputed noncompete clauses, particularly the scope of the prohibited activity, the timeframe of the restriction, and the geographic area covered. • won't harm the public at large. Concern over the public's best interest has historically cast shadows over the whole idea of restrictive covenants, says attorney Mark Kropiewnicki, the president of the Plymouth Meeting, Pennsylvania-based Health Care Group. Courts generally viewed them as anticompetitive, and according to Michigan attorney Robert Schaffer, the American Medical Association maintained a public position that restrictive covenants were unethical because maintaining patient choice trumps protecting business interests. Washington, D.C. labor law attorney Mark Gisler holds a Masters of Laws degree in labor law and once worked for the National Labor Relations Board. He recognizes that a physician might be tempted to go ahead and sign a contract with blatantly unreasonable restrictive covenants—assuming that the provisions won't likely stand up in court if contested. He strongly advises against taking such a gamble: "You're much better off approaching the [agreement] asking what you will want to do if the employment relationship ends. Look critically at the provisions to make sure the employer is protecting legitimate business interests only." Cleveland-based health care consultant and physician-career coach Jack Valancy agrees: "When considering an employment agreement that includes noncompete language, assume the employer is going to be willing to enforce the contract. So if you can't live with the terms of the restrictive covenants, don't sign the contract. Legal action is really expensive, and the employer has deeper pockets than you do." Attorneys and industry experts all emphasized that laws, both legislative and judiciary, vary widely from state to state, so both employers and employees must bear that in mind when negotiating noncompete provisions. Time Considerations. When it comes to the time period during which the departing employee may not compete with the former employer, for example, Gisler notes that Florida courts have developed a de facto standard regarding time: Anything under six months is more or less automatically considered reasonable, and anything over two years is likely to be considered unreasonable. Kropiewnicki observes that while courts sometimes recognize timeframes up to three years, a two-year proscription is more common. He sometimes attempts to "whittle that down" to 18 months, because that should be sufficient time to make it nearly impossible for the departing physician to easily draw business away. Even more conservative, Valancy believes it unreasonable for a restriction to exceed the period of employment. It wouldn't be fair for a doctor to depart after a year and be prohibited from practicing in the area for two. Geographical Considerations. Similarly, Valancy encourages physicians not to accept provisions prohibiting practice within unreasonably large geographical areas. The area covered should be the region from which the practice draws 75% to 80% of its patients. Large health systems often define restricted areas as "X miles from any of its locations." That could include a very large area. Instead, Valancy says the restriction should apply to where the individual physician practiced. Both the employer and the employee should consider what area really needs protection, says Kropiewnicki. Where would the organization truly be damaged by the departing physician's practice? The radius will usually be smaller in densely populated and well-served areas. Corbett helped a large radiology group integrate with a hospital in a major metropolitan area with very dense population and multiple hospitals. The complex health care market provided an abundance of employment opportunities within reasonable, if not desirable, driving distance, so a departing radiologist wouldn't necessarily have to uproot his or her family to find a new job. Activity Considerations. Gisler points out that a departing doctor's specialty could have an impact on reasonableness. "If a vascular surgery group offers a contract prohibiting a departing doctor from performing any surgery within a certain area for a certain time, it may not be reasonable. If the group performs vein surgery exclusively, it isn't fair to prohibit all surgery. In a radiology context, a woman's imaging group's restrictive covenant might not prohibit performing all radiology services. A restrictive covenant needs to specify competitive activity." Valancy adds that in a hotly competitive environment an employer might name the competitor(s) for which the departing physician may not work. He has seen provisions that actually grant permission for a physician to work in the area as long as he/she doesn't go to work for the competing system. • Equitable Relief/Injunction: Many provisions, says Gisler, will directly reference injunctive relief. The employer files a motion for a preliminary injunction that will prohibit the doctor from going to work competitively. To get a judge to issue an injunction, the employer must show that the competitive activity will cause "irreparable harm," which is very difficult to prove. But if the judge agrees, the doctor can face contempt-of-court penalties if he or she doesn't comply. In this first phase, Gisler notes that the battle is often won or lost. You have to show that you have a pretty strong case to get a preliminary injunction. Schaffer agrees: "The rules to get one are pretty stiff. You have to establish a pretty clear case for the potential of real harm and show that you're likely to prevail in the end. A hearing for preliminary injunction can happen as quickly as within 24 to 48 hours; the order could last a few weeks or even a few months." Some states prohibit injunctive relief in these cases, meaning an employer can only pursue for economic relief, Schaffer says. In other states the courts show a bias. Courts in Schaffer's home state of Michigan seem to favor liquidated damages. If the contract provides for economic relief, the judge may see that as "an easy way out" of a difficult decision about issuing an injunction. Schaffer tries to steer clients away from including liquidated-damages provisions. If the departing physician has to pay liquidated damages, "it doesn't really solve your problem: the fact that you are losing potentially irreplaceable business. The adjudicated damages amount may not truly make you whole." Also, if the employment agreement specifies a dollar amount on the damages, departing physicians can, in effect, buy their way out of their agreements. • "Loser-Pay" Penalties: Employers usually like to include a provision that places the burden of paying all "reasonable attorney fees" on whoever loses the legal battle. This can be a breathtaking price tag, Gisler says, and it's meant to serve as a deterrent to legal action. He routinely advises employee clients to try to avoid such provisions. Contrary to the advice Gisler would give a physician client, Schaffer urges employer clients to use "loser pay" provisions in their contracts. The risk of having to pay all of the legal expenses can be a strong deterrent to legal action by an individual. When considering an employment offer, Corbett advises physicians to read the restrictive covenant with a map in hand. Draw a circle around the reference point to see exactly where the physician agrees not to compete and determine if they're comfortable with the result. Consider the population density and the medical-market distribution; one size doesn't fit all. He urges doctors, "Go into the deal with your eyes wide open." He strongly advises every doctor to "make sure you show your contract to an attorney with specific experience in physician employment agreements." He has seen young physicians advised by attorneys with little health care experience. "The attorney looks at a contract specifying a generous, but situationally reasonable, noncompete area and says 'What? That's ridiculous! I'd never sign anything like that!'" Corbett adds. "But these attorneys do a disservice to the young physician, because they don't get it. They don't know what's common in our line of work." To employers crafting noncompete provisions in their physician agreements, Schaffer says, "Know the business purpose intended with the noncompete language, and understand your particular market, the perceived competition, and the specific reasons for wanting a restrictive covenant within the employment agreement. With these facts, the provisions should be more reasonable—and therefore enforceable." The employer should make sure the contract specifies prohibited services, the geography covered, and the timeframe for the prohibition. Schaffer warns employers to apply and enforce restrictive covenants equally. If a practice makes exceptions by waiving or neglecting enforcement, the next doctor out the door has a better chance of prevailing in court. It could even open a door for accusations of discrimination. Additionally, in order to enforce a noncompete agreement, the employer must have "clean hands." This means the employer must not have breached any significant terms of the employment relationship. Attorneys for physicians leaving a group commonly use this type of "prior breach" defense to overcome the enforceability of noncompete agreements. Restrictive covenants—agreements not to compete—are assuredly here to stay and are included in nearly every physician employment agreement. Interestingly, and perhaps ironically, Gisler finds that hospitals traditionally insisting on strong noncompetes have softened their positions to compete for top physician talent. He now sees the strictest language in contracts offered by large independent physician groups trying to secure their own integrity. Perhaps today's survival mentality among physicians has triggered that level of self-protection. Regardless, the thing to remember is this: Thoughtful, well-crafted agreements can protect the interests of both the employer and the physician at the conclusion of their employment relationship. — Timothy W. Boden, CMPE, has spent more than 30 years in practice management as an administrator, consultant, journalist, and speaker. He resides in Starkville, Mississippi. Contact him at tboden@aol.com or 662-324-1963.